Connecting the dots within and outside of our diverse business will be the challenge of 7HACK 2016. There is no limit to your creativity - hack the future of entertainment with us! Following our vision and strengthening our leading position in the market requires disruptive innovationand talented employees that don‘t hesitate to try new things. With the 7HACK 2016 we open our doors to internal and external developers, designers and idea generators toteam up for 24 hours to generate valuable outcomes. We are very much looking forward to meeting you at our campus in Unterfoehring! Connecting the dots within and outside of our diverse business will be the challenge of 7HACK 2016. There is no limit to your creativity - surprise us! 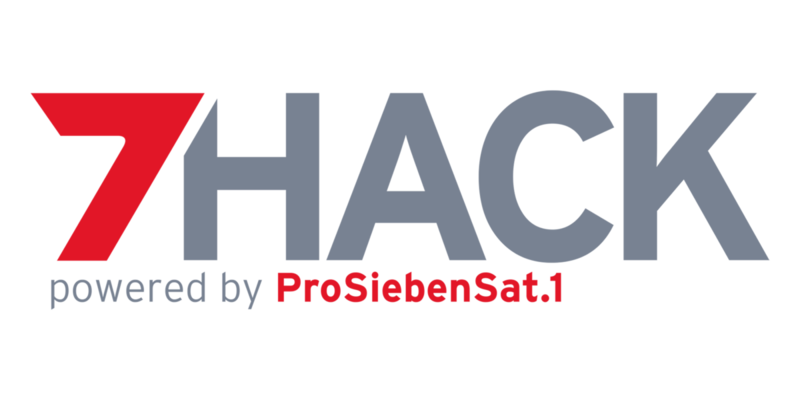 The ProSiebenSat.1 Group is one of the largest independent media corporations in Europe. Besides our successful core business free TV financed by advertising, we are also Germany’s leading video marketer on the internet. In recent years, we have built a strong e-commerce portfolio, which is now one of our key growth drivers. Our vision is to transform ourselves into a (digital) consumer goods and commerce house powered by television, content and digital platforms. Anyone can take part who is above the age of 18 can apply. Besides coding talents, we are also looking for product managers, UX Designers, digital experts and creative idea providers.